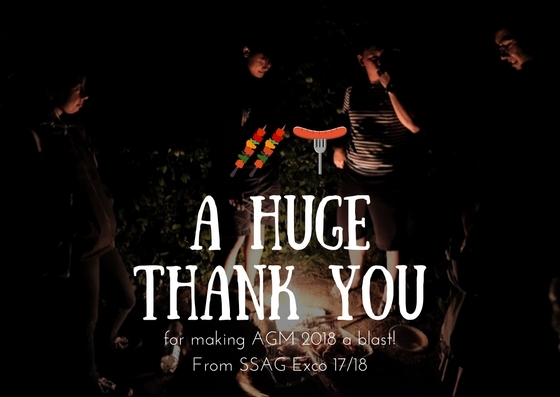 Thanks to everybody for making AGM 2018 an unprecedented success! In May 2017, we hosted our AGM in Munich at Rohde & Schwarz. For our KLW, we headed north to the Singapore Embassy in Berlin, and made SSAG history with our first-ever student career event, “Was SSAGen die Unternehmen?” in October 2017. 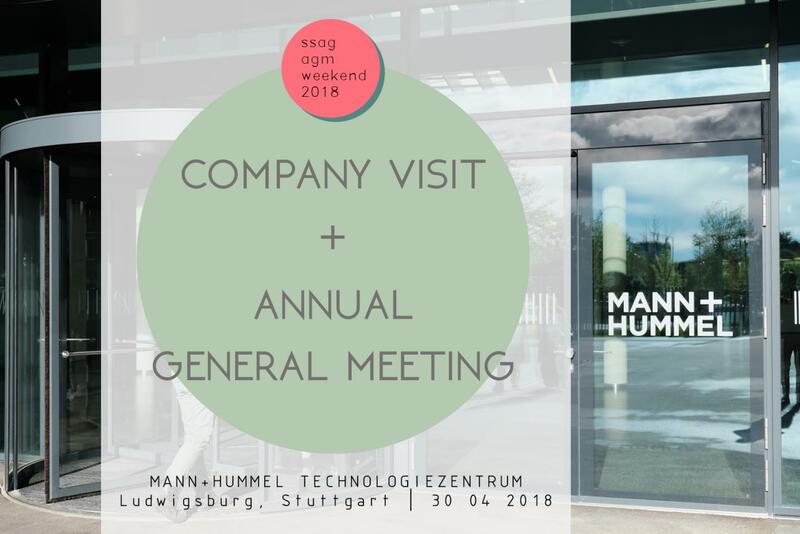 This year, Mann + Hummel, a family-owned German firm and global leader in filtration systems, extended a generous invitation for us to host our AGM at their new Technologiezentrum in Ludwigsburg near Stuttgart. Naturally, we were very excited to work together with them, and the many hours of cooperation and hard work culminated in a smoothly-run event which elicited a very high level of engagement from our SSAG participants. The event sowed the seeds for future cooperation between the SSAG and M+H, and offered SSAG members a chance to get a glimpse, as well as to gain a foothold into the filtration industry. Some students have already linked up with the relevant parties at M+H to discuss the possibility of future research collaborations and employment opportunities. As well as all other M+H employees involved in the event, especially our museum guide and Feinstaubfresser engineers, for their valuable insights. A special hello goes out to Mr. Loke Ping Bu and Ms. Toh Yue Lin for keeping the alumni dream alive, and driving all the way up from Munich to wholeheartedly join in the fun on Saturday and Sunday. Last but not least, we would like to shout out a huge THANK YOU! to the SSAG members and friends, all of whom took time out of their busy schedules to travel to Ludwigsburg/Stuttgart from as far away as Frankfurt an der Oder and Switzerland. On behalf of the Exco, we hope you had a blast at AGM, just like we did. This Special Edition Article is a simple roundup of the events which occurred over the AGM weekend – hopefully it will serve to preserve your fond memories of AGM in the years to come. We’re looking forward to seeing you again in a few months at the KLW! The SSAG Annual General Meeting 2018 took place on the last weekend of April. It is my second time attending this yearly event that brings Singaporean students in German-speaking countries in Europe together not only for a weekend of fun and laughter but also fruitful learning. After the interesting bonding sessions over the barbeque as well as various tours and activities on the first two days, we concluded the event with a company visit, where the Annual General Meeting also took place. The day at Mann und Hummel’s headquarters in Ludwigsburg began with an engaging introduction to the company’s general operations, technologies and goals. We also learned about the challenges faced by the filter industry, as well as how a German family owned business strategically expanded its operations to various locations in the world, including Singapore. The interactive hands-on discussions that followed, about topics relating to the environment and technology was extremely informative, allowing each of us to learn something new about hitherto familiar issues such as pollution. That afternoon was spent learning about the history of Mann und Hummel as well as current focuses of the company. It was interesting to learn about how the company transited from focusing in the textile industry to becoming a world-renowned firm serving a wide range of industries today. This was particularly interesting for students who are studying business and humanities such as history, while the evolution of technology over the decades was remarkably stunning for the other students studying STEM subjects. The demonstration of the current focus of the company was also germane to scientific and engineering fields, allowing the majority of the students who are enrolled in engineering related degrees to better understand the roles demanded in the labor market by German companies today and in the future. We also had a chance to connect with a hiring manager during the question and answer session, which allowed us the opportunity to raise queries pertinent to the hiring process and learn more about the roles companies such as Mann und Hummel require. The last activity at that day was the Annual General Meeting, during which the outgoing exco gave an overview of the past year, followed by the voting for the incoming executive committee. After new goals were set for the coming year, we all mused about the interesting facts we learned that day. Despite our different specializations, we agreed that each and every one had something to take away from the activities of that day. The meaningful insights, together with the opportunity to reconnect with old friends and make memories with new friend, made this AGM a particularly rewarding experience for me. 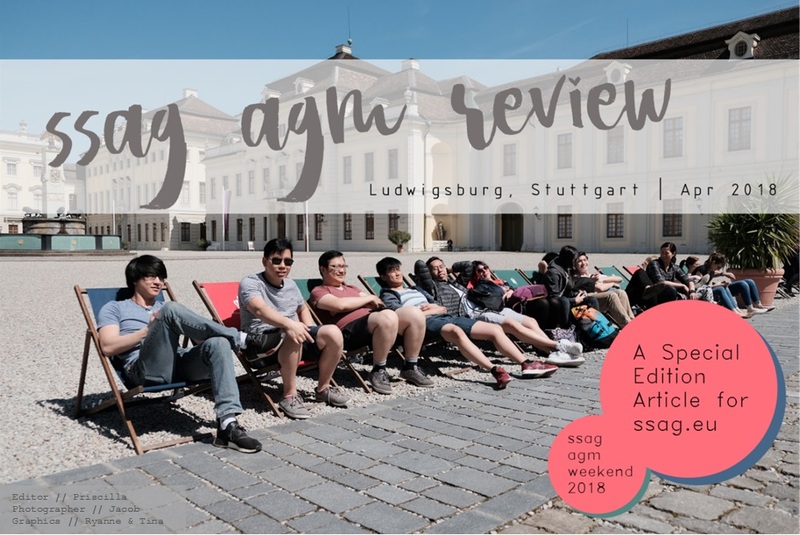 This year, I jumped at the opportunity to participate in the Annual General Meeting (AGM) organised by the Singapore Students’ Association of Germany (SSAG). 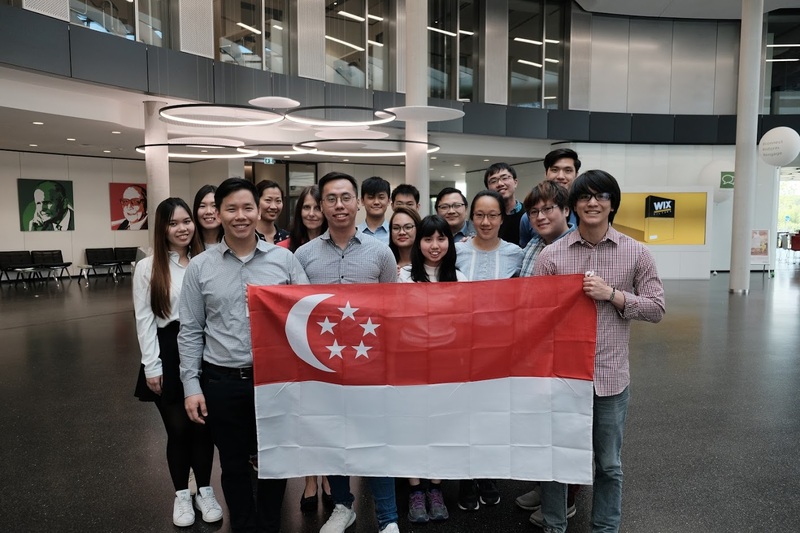 The SSAG AGM is a yearly event with the aim of bringing Singaporeans studying in German-speaking countries together. I felt that it would be an excellent platform to engage with fellow Singaporeans and the perfect excuse to travel to and explore Stuttgart over the long weekend. Upon arriving in Stuttgart, my belief in the presence of an instant connection between fellow overseas Singaporeans was not unfounded. Living in Germany, where the population of Singaporeans is relatively small in comparison to some other countries, has enabled me to cherish the prospects of engaging in English (or Singlish) conversations, living to eat and simply relinquishing my insecurities in a foreign land – all best achieved in the company of other Singaporeans. And I believe that our unique Singaporean traits such as these helped us to build up rapport with one another within a short span of time. Furthermore, sharing our common experiences in Germany brought us closer. Although we engaged in and bonded through a variety of activities, such as being awed by the grand Ludwigsburg castle, taking a leisure stroll through a park or enjoying our savoury barbeque dinner, we resonated even better through our similar experiences settling into varsity life away from home, missing Singaporean cuisine and looking back at how far our German has come. Topped off with our game of Limpeh Says – the true highlight of our finale night – I never felt such a closeness to home since I began university life here. Indeed, my first AGM has been an unforgettable one and I am thankful for the SSAG executive committee for organising this four-day programme. I hope that the feeling of home we experienced would remain in us for even longer. Während des Wochenendes vom 28. April bis 1. Mai waren etwa 20 singapurische Studenten und ich wegen des Annual General Meeting (AGM) 2018 ein paar Tage in Ludwigsburg unterwegs. Und es war wirklich schön. In den 4 Tagen haben wir einen Rundgang durch die herrlichen Prunkräume des Residenzschlosses Ludwigsburg gemacht, ins Griffwerk gebouldert, eine Grillparty gemacht und einander durch die zahlreiche Aktivitäten kennengelernt. Der Kontakt zur Industrie bei der Jahreshauptversammlung bei Mann+Hummel war für die Vielzahl unserer Ingenieurswissenschaftsstudenten besonders relevant, denn sie hatten die Gelegenheit, direkt mit dem Anwerber zu sprechen und sich nach der Relevanz ihres Studienganges mit den Arbeitsstellen in der Firma erkundigen. Ich habe an dieser AGM teilgenommen, in der Hoffnung, neue Freundschaften zu schließen. Ich habe aber so viel mehr erlangt, als ich gehofft habe: ich habe neue Freundschaften geknüpft, Erlebnisse und Erfahrungen bei unserer Eingewöhnung in Deutschland ausgetauscht, interessante Anekdoten geteilt, und natürlich auch Hinweise dazu bekommen, wo man die beste Ramen oder das köstlichste Dim Sum essen kann. Die freundlichen Gespräche mit unserem familiären singapurischen Redestil sind eine der Aspekte, die ich an Singapur am meisten vermisse. Die lockeren Unterhaltungen und einzigartigen singapurischen Humor erfährt man sonst nirgends in Deutschland. Der beste Teil war, dass wir alle dasselbe Gemeinschaftsgefühl erlebt haben. Als ich meine Gedanken hier niederschrieb, hatte ich das Gefühl, dass ich mich in Deutschland noch nie zuvor so wahrhaft zu Hause gefühlt habe. Ich hatte das Glück, an der AGM 2018 teilgenommen zu haben und ich hoffe, dass die ankommenden Erstis in den nächsten Jahren dieselbe Freude mit uns teilen können. We are proud to announce the election of the new Executive Committee! It’s been a pleasure serving you and we wish our incoming Exco all the best for the coming year.